TUCSON, AZ--(Marketwired - July 12, 2016) - From Modern Into the Now: Masterworks from the Kasser Mochary Art Foundation presents twentieth century Modern and Contemporary masters including works of art by Jean Arp, André Derain, Alberto Giacometti, Fernand Léger, Jacques Lipchitz, Marino Marini, Marisol, René Magritte, Joan Miró, Henri Matisse, Pablo Picasso, Robert Rauschenberg, Pierre-Auguste Renoir, Larry Rivers, Auguste Rodin, Niki de Saint Phalle, Alfred Sisley, Victor Vasarely, and Andy Warhol. The exhibition opens to the public Saturday, August 27, 2016, at the Tucson Museum of Art (TMA) in historic downtown Tucson. The 2014 exhibition, The Figure Examined: Masterworks from the Kasser Mochary Art Foundation broke the Museum's previous attendance records. 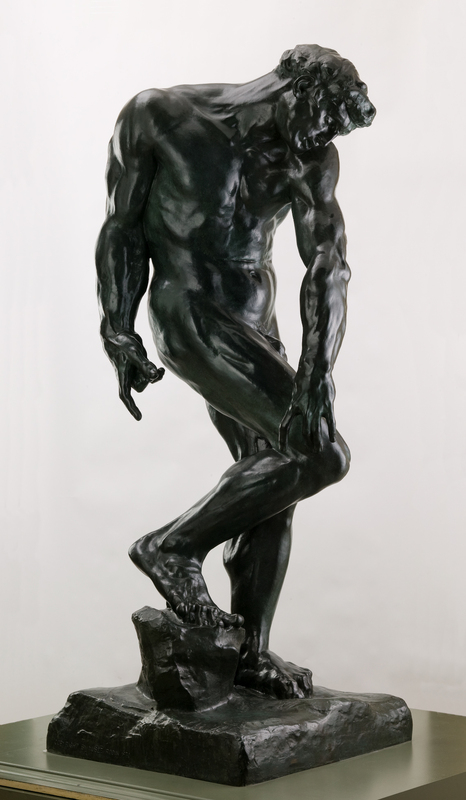 Many of the best-loved works from that exhibition, such as Auguste Rodin's bronze Adam and works in marble, will be on display in From Modern Into the Now: Masterworks from the Kasser Mochary Art Foundation along with works never before exhibited in Arizona. This exhibition is curated by Dr. Julie Sasse, Chief Curator and Curator of Modern and Contemporary Art, and Joanne Stuhr, Curator of the Kasser Mochary Art Foundation. The Kasser Mochary Art Foundation was founded in 1968 by Alexander and Elisabeth Kasser and their daughter, Mary V. (Kasser) Mochary, with the mission of inspiring and promoting appreciation of the fine arts. The Foundation's collection of important works emphasizes passion and embodies the progressive vision for the twentieth century that propelled the Modern masters. 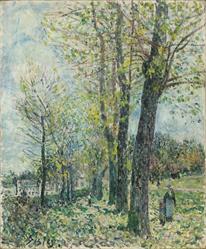 The Kasser family's own history is as notable as the foundation's masterpieces. Elisabeth and Alexander Kasser endured significant risks to aid thousands of Jewish people and political targets during the Nazi invasion of Budapest, Hungary. Elisabeth served as a translator for Raoul Wallenberg, Swedish Ambassador to Hungary, while Alexander, as director of the Swedish Red Cross, organized efforts along with Prof. Valdemar Langlet, that saved hundreds of Hungarians from internment and death. The Kasser family left Europe after World War II, and their subsequent success in the U.S. allowed them to follow their love for collecting art. The Foundation is now based in Vienna, Austria; Montclair, New Jersey; and Tucson, Arizona. "The Kasser family's valor during World War II comes through in their art collection. There are daring pieces, works expressing emotional depth, and breathtakingly beautiful expressions of love. The collection is a tribute to the triumph of spirit and creative achievement," said Dr. Julie Sasse, Chief Curator and Curator of Modern and Contemporary Art. "It is a privilege to co-curate this collection." "The Kasser Mochary Foundation is pleased to have this opportunity to share highlights of the collection with the Tucson public, in fulfillment of our foundational objectives," said Joanne Stuhr, Curator of the Kasser Mochary Art Foundation. "We are especially pleased with the inclusion of numerous contemporary works that have not previously been exhibited, which allow further interpretation and understanding of modern and contemporary art." From Modern Into the Now: Masterworks from the Kasser Mochary Art Foundation will remain on view at TMA until July 23, 2017. Inspired by the Modern masters in From Into the Now: Masterworks from the Kasser Mochary Art Foundation, this exhibition presents selected paintings and graphics by noted artists of the early twentieth century whose works challenged the tenets of traditional artistic discourse and ushered in new ways of seeing the world. Included in this exhibition are works by Pierre Bonnard, William Glackens, Käthe Kollwitz, Henri Matisse, Emil Nolde, Pablo Picasso, Pierre-Auguste Renoir, George Rouault, Maurice Utrillo, and Jacques Villon. This exhibition is curated by Dr. Julie Sasse, Chief Curator and Curator of Modern and Contemporary Art. The Museum is located at 140 N. Main Avenue in historic downtown Tucson at the crossroads of W. Alameda and N. Main Avenue. Parking is free in the Museum's lot on W. Washington Street. Tuesday, Wednesday, Thursday, Friday, Saturday: 10:00 a.m. - 5:00 p.m.
Free First Thursday of each month: 5:00 p.m. - 8:00 p.m. Free admission for all. Second Sunday: 12:00 p.m. - 5:00 p.m. Free admission for Arizona residents. Adult/$12; Senior (65+)/$10; Student (with college ID)/$7; Youth (13-17)/$7; Child (12 and under)/Free; Veteran with ID/Free; Museum Member/Free. The Tucson Museum of Art and Historic Block's mission is Connecting Art to Life. The Museum was founded 1924 in the El Presidio Historic District of downtown Tucson. It is Southern Arizona's premier presenter of fine art and art education programs. The Museum features permanent and traveling exhibitions of Modern and Contemporary, Native American, American West, Latin American, and Asian art. The 74,000 square foot Museum offers guided tours, education programs, and studio art classes in a contemporary building. The Museum's Historic Block of 19th and 20th C. adobe and Mission Revival-style buildings, encompassing an entire four-acre city block, includes the John K. Goodman Pavilion of Western Art, displaying the Museum's notable art of the American West collection, the highly acclaimed Museum restaurant Café a la C'Art, and additional exhibition and studio spaces. For more information, please visit www.TucsonMuseumofArt.org or call (520) 624-2333. Follow the latest events on Facebook, Instagram, and Twitter. TMA is a private 501(c)(3) charitable arts and education organization.